Beautiful and clean tri level 3+3 condo in the desirable Tres Robles community. Open floorplan with 1225 square feet. The living room has a fireplace. There is a direct access sliding glass door to the private patio. The kitchen is clean with newer appliances, and opens to dining area. There is also a bedroom and bathroom on this level. Upstairs there are 2 master bedrooms each with their own bathroom. 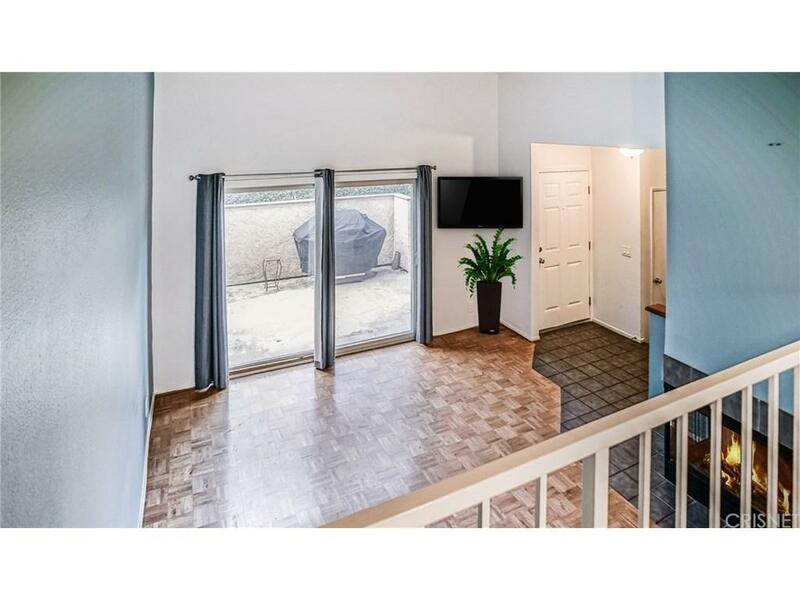 There is a private 2 car direct access garage with washer and dryer hook-ups. Each bedroom has a ceiling fan w/light. 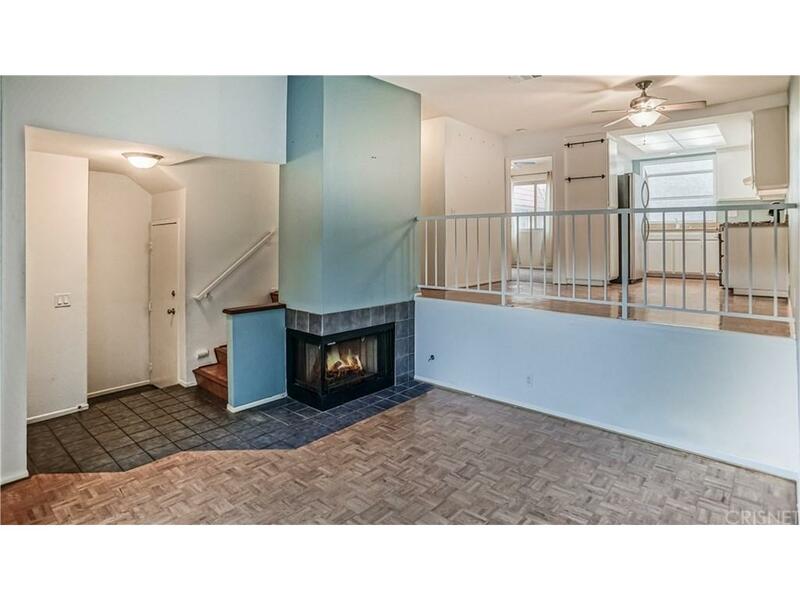 Wood floors in living areas and newer carpet in bedrooms and stairs. Tres Robles is a small, well-kept community known for its amenities including a children's play area, scenic walkways, gated pool/spa, with close access to the Santa Clarita Trail System. The HOA includes water and trash service. 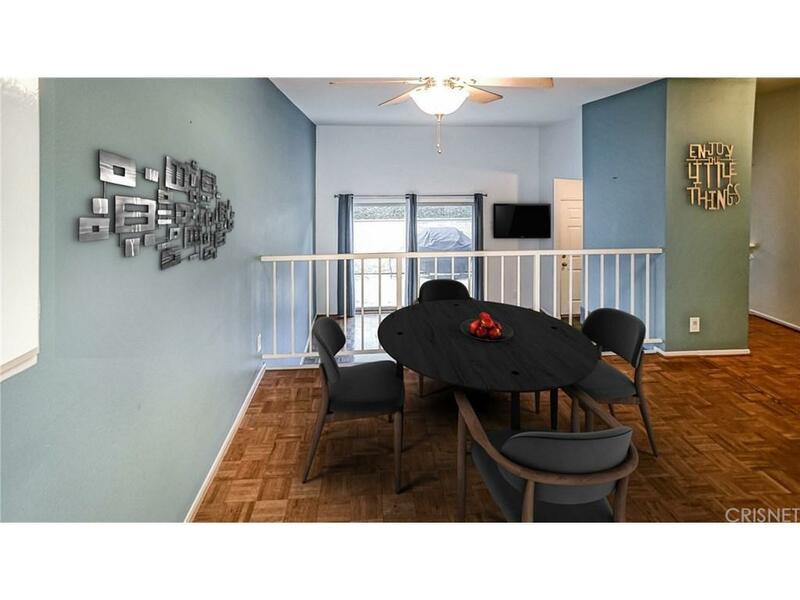 Located within a great school district, and close to shopping, restaurants, the 14 freeway and Via Princessa Metrolink Station.Please note: some photos have been virtually staged for design inspiration. Sold by Augusto Salvador BRE#01123339 of Lexmar Capital. 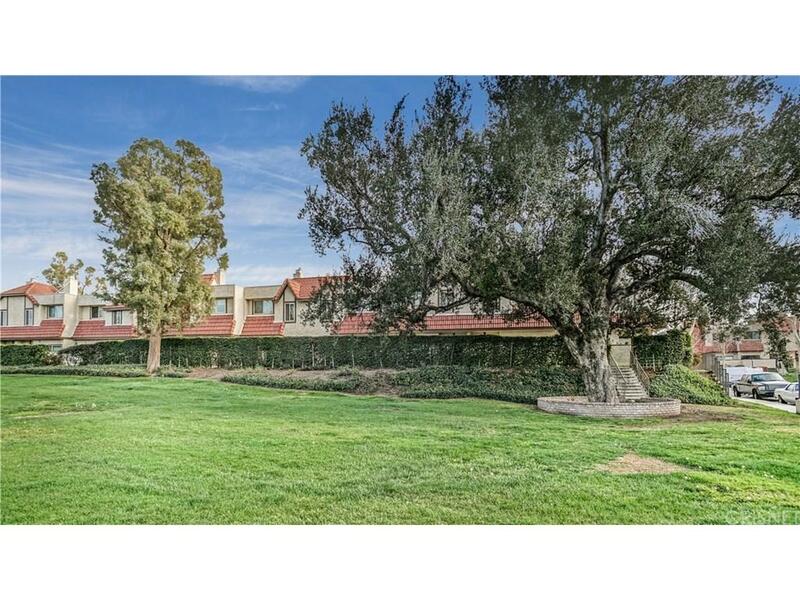 Listing provided courtesy of Evelyn Taibi DRE#01123339 of Realty Executives and Ronald Taibi CA DRE# 01240158 of .